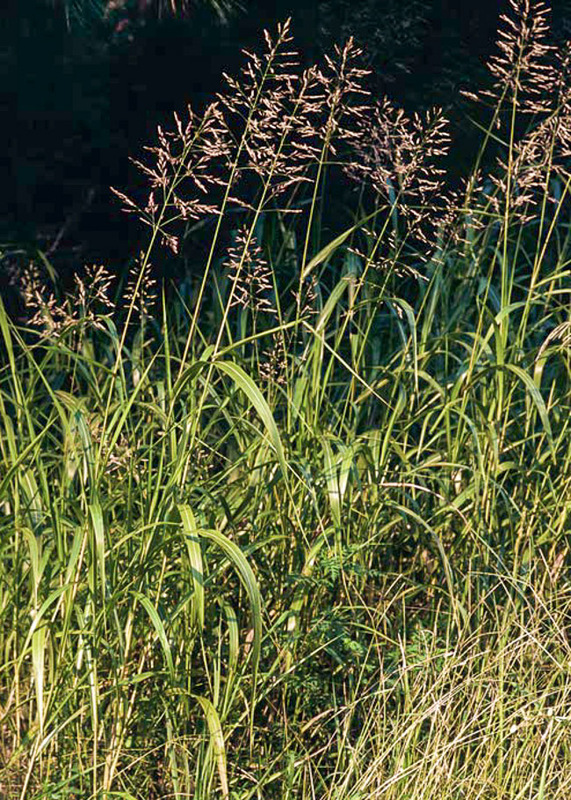 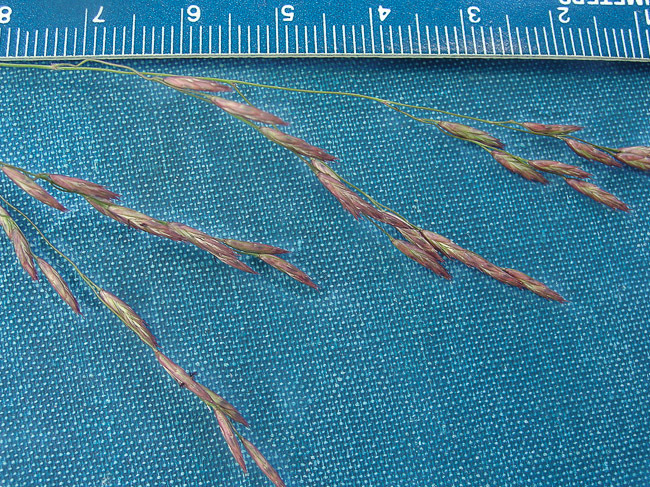 Recognition: Mid-sized grass having purple paniculate inflorescences. 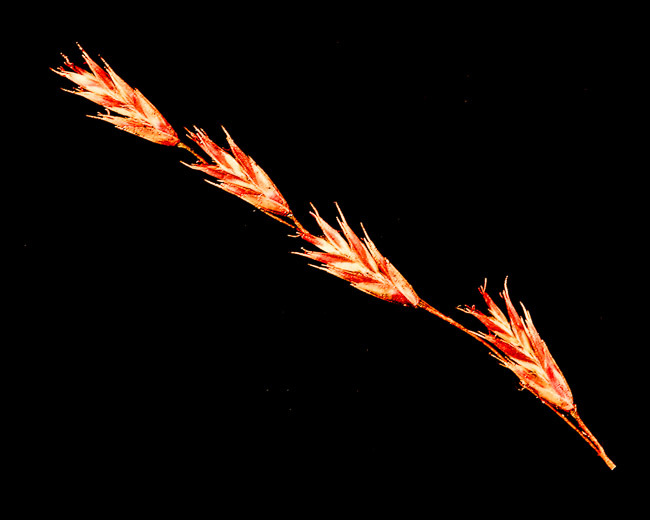 Spikelets 5-10 mm long, laterally flattened with 4-8 florets. 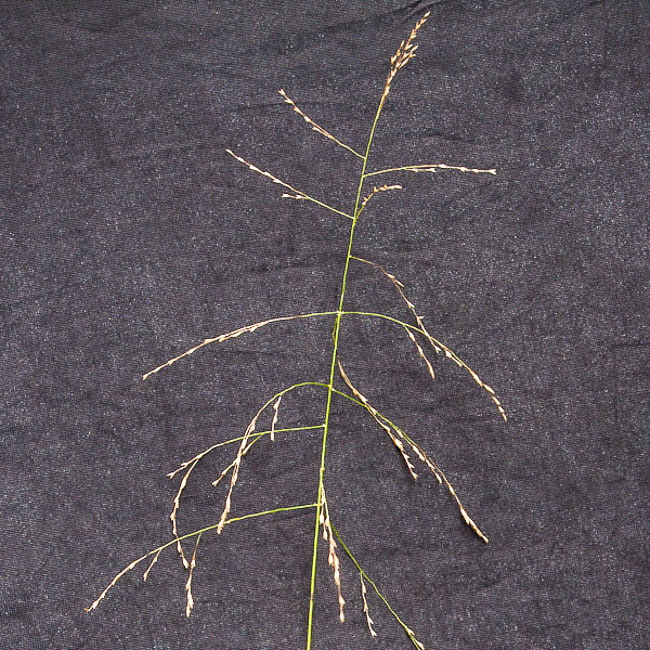 Lemmas notched, with a tiny point in the notch. 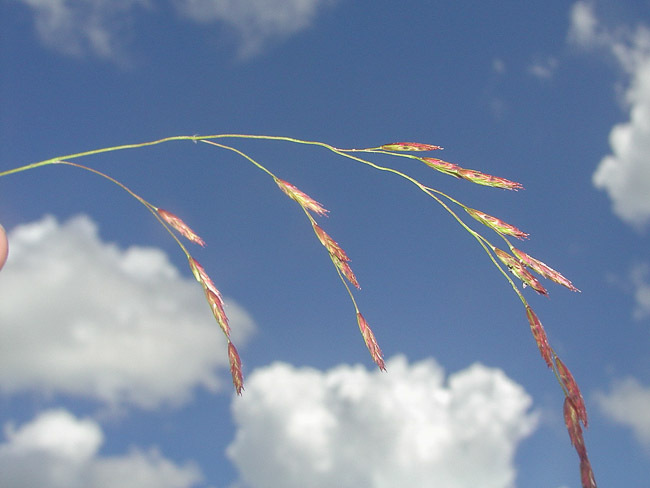 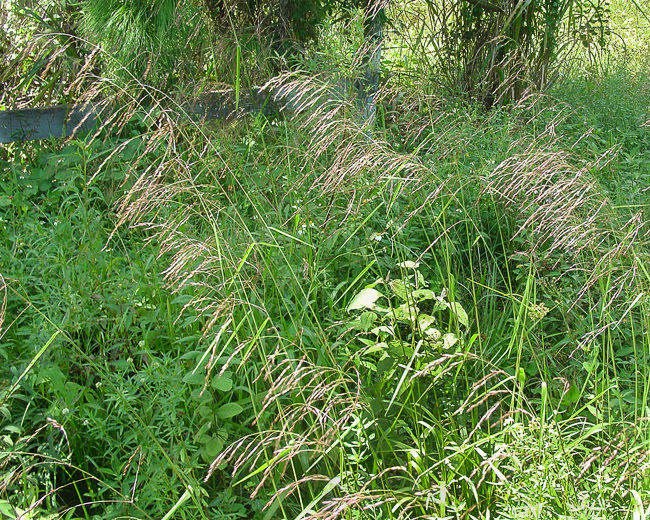 Might be mistaken at a glance for a large Eragrostis except for the notched lemmas.